Tickets are not available yet. Sign up below to receive Audubon Supper Club updates. Get an exclusive, look at the new pride of Audubon Zoo. Journey into the Africa Savanna, explore the new, state-of-the-art lion habitat and experience the world’s most social felines. A quick Zoo train ride will transport guests to the lion habitat where cocktails will be enjoyed in front of the new exhibit. Animal care staff will share with guests all that is involved with caring for these powerful big cats, and what we can do to help the them in the wild. The next stop will be the crown jewel of Audubon Zoo, the Louisiana Swamp where guests will be immersed in our urban swamp. The exhibit has received national acclaim for the innovative portrayal of Louisiana culture, wildlife and history. A Farm Fresh dinner will be served in the Cajun Ballroom with views of native wildlife including alligators, otters and cougars. The zoo train will begin boarding at the Zoo’s main entrance gate at 5:30pm and will depart for cocktails at 6pm. Please arrive on time for prompt departure. 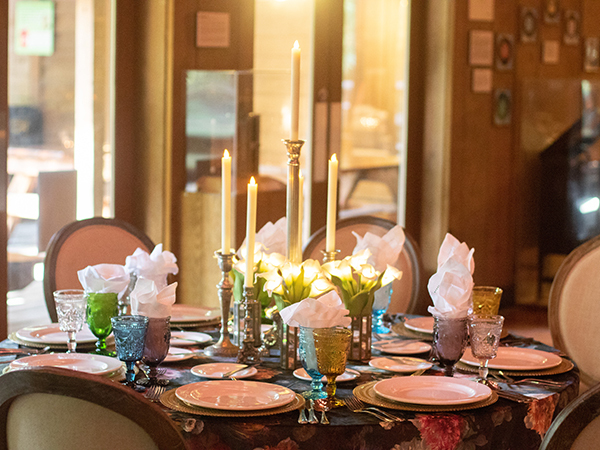 A ticket to the Supper Club supports Audubon’s conservation work helping fund work across the globe fighting extinction and preserving the local ecosystem. The element of the unknown extends beyond the wild venues; dinner companions can also be a surprise. Audubon Supper Club features assigned group seatings, encouraging a social opportunity to network and meet new people. Or in typical New Orleans fashion, run into friends you haven’t seen in a while! Seating is extremely limited. Advanced purchase is required, and this event will sell out. Should you be unable to attend, please consider your contribution a donation–there will be no refunds. Audubon Catering is proud to be a certified environmentally-friendly caterer, with recognition from the Green Restaurant Association. This prestigious award means that Audubon Catering meets the strict standards of the association, implementing a wide array of policies to increase environmental sustainability. Audubon recycles all leftovers, delivering food to our elephants at a rate of 40 pounds a day! Conserve water and energy use. Reduce the amount of chemicals you use on lawns and gardens. Reduce, reuse and recycle–especially paper; plastic; aluminum; glass; and cell phones, batteries, and other electronics.